What is the Ranch Plan? We will be talking a lot about the Ranch Plan here at Rancho Ortega, but this first post will serve as a short introduction and an opportunity to post the Map of the Ranch Plan to which we will frequently make reference. The Ranch Plan is the master plan that has been approved for the planned development that will occur on the remaining undeveloped land owned by Rancho Mission Viejo Company. The largest area of undeveloped land in Orange County, the Ranch Plan was first approved by the OC Board of Supervisors in 2004. Subsequently, Rancho Mission Viejo Company settled two separate lawsuits filed over the Ranch Plan with the City of Mission Viejo and local environmental groups. The Mission Viejo settlement was focused on traffic abatement in and around the development’s border with Mission Viejo and its impact on MV streets such as Oso Parkway. The environmental settlement increased the protected open space component of the Ranch Plan to almost 75%, and decreased the development area to 25%. As a result, development of the Ranch Plan will occur primarily in four development bubbles, indicated on the Map (with some additional and potential development on a couple others). When complete, the Ranch Plan will bring approximately 14,000 new homes to the area, as well as a number of retail, commercial and office properties and a substantial amount of new parks, trails and protected open space. The proposed development also has some unique features and amenities, but we won’t spoil the surprise of those yet. The Ranch Plan is not without controversy. Moreover (and one of the primary reasons why we created this blog), it is also a bit of a mystery. We’ve seen numerous blog and message board posts asking “what’s going on at the corner of Ortega and Antonio” or “aren’t they building a new city inland of San Juan Capistrano?” Seldom does anyone have a clear, authoritative answer. In fact, information on the internet is strangely lacking given the size and importance of the Ranch Plan development. We intend to explore the Ranch Plan to the best of our ability, and to provide whatever information we’re able to gather to the community in a single place — here. 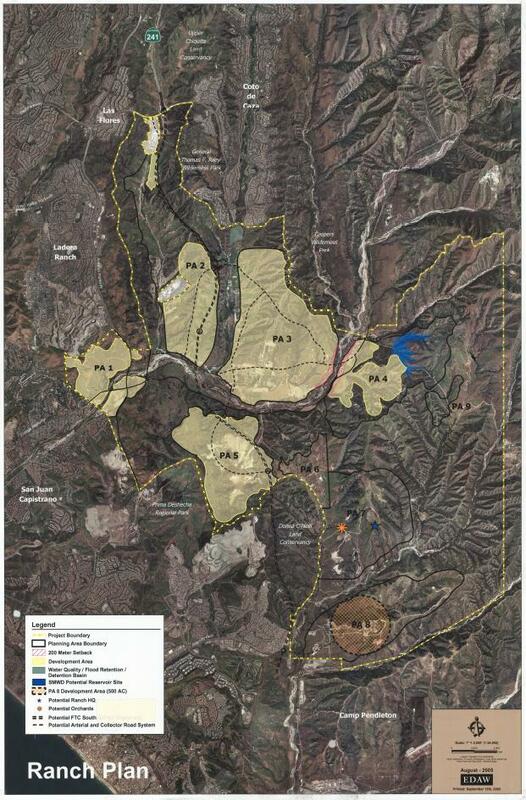 We aren’t affiliated with Rancho Mission Viejo, nor any other stakeholder in the Ranch Plan. But we do live here. Do we support the Ranch Plan? Do we oppose the Ranch Plan? We are supportive, with some concerns. But in our view, we don’t think those are the right questions to ask. First, whether we like it or not as individuals, the Ranch Plan is on the private property of Rancho Mission Viejo Company. They’ve worked with the County, local cities and environmental groups to obtain approval of the Ranch Plan. As a result, it’s going to happen whether we like it or not. Second, all of the major approvals are behind us. There was a time for those who opposed the Ranch Plan to fight against it, but that time is over. Important questions remain. We believe that Orange County desperately needs new housing stock, particularly age-qualified housing. The Ranch Plan offers both. The Ranch Plan will also offer low-income housing, which could mean a number of things both positive and negative to the community. 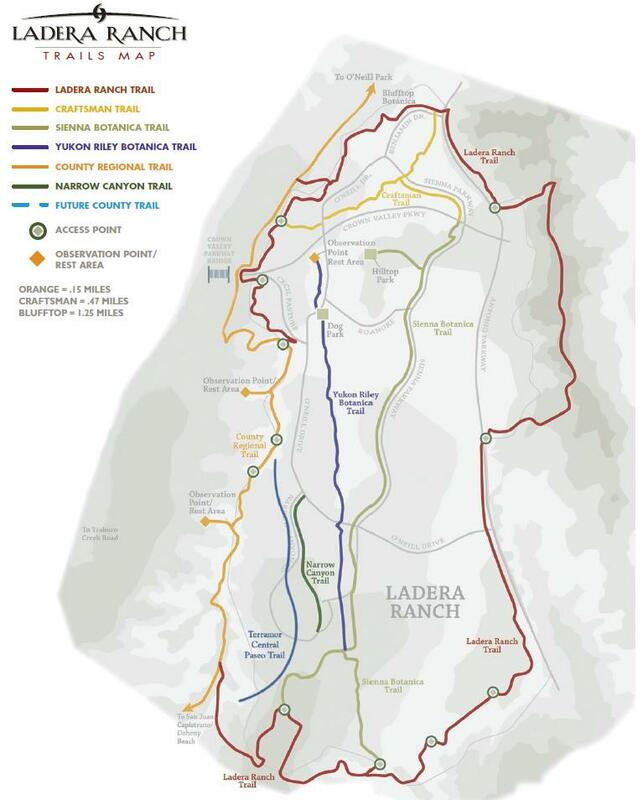 The Ranch Plan will bring new infrastructure — from Cow Camp Road to the Tesoro Extension of the 241 to the much needed La Pata Gap Extension. But it will also bring congestion and millions of additional car miles on overburdened local streets — with no solution in sight to the ultimate completion of the toll road at the 5. It will bring new retail and commercial opportunities, but will monopolistic property management and high rents drive away the local-owned and boutique businesses in favor of yet another big box store? Where does the water come from? How will the parks, schools and emergency services be funded? What are the public benefits and amenities? How will San Juan Creek be preserved and protected? And how will Ladera Ranch, Coto de Caza and Las Flores be integrated into the larger Rancho Mission Viejo development, if at all? All of this remains to be seen. Permit us one final thought for today. Even though the Ranch Plan itself is largely baked, the implementation of the Plan remains open to interpretation and implementation. What is the community vision for the Ranch Plan? Will Rancho Mission Viejo strive for an aesthetically pleasing community, living in harmony with the abundant open spaces, seamlessly integrated into the rural, small-town vibe of neighboring San Juan Capistrano? Will it offer an abundance of charming “third places” such as local merchants gathered along a tree lined paseo, or around a historic town square like Old Town Orange? Or, Rancho Mission Viejo could follow in The Irvine Company’s unfortunate footsteps, seeking to maximize profit by scarring the hillsides with row after row of tiny stucco boxes, clustered around bland strip mall. Imagine the possibilities inherent in the design a new city from scratch! That’s the daunting challenge and the amazing opportunity facing Rancho Mission Viejo Company as they embark upon the Ranch Plan. The owners have promised us that “this is their home too.” For all of our sakes, we hope they get it right. If they don’t, they have to live with their poor choices, but we will too. The full-sized PDF is available here, or in the right sidebar under Documents>Ranch Plan>Ranch Plan Planned Community (Rancho Mission Viejo)>Planned Community Map.